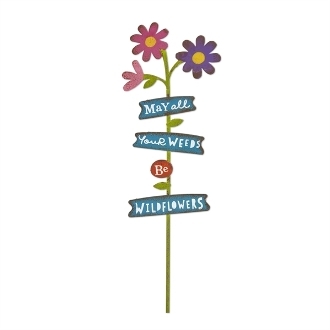 MAY ALL YOUR WEEDS BE WILDFLOWERS Garden Sign For Gypsy Fairy Gardens. Full Description: Gain a new perspective with this encouraging mini sign that reads "May all your weeds be wildflowers." Features all-weather paint. Made of metal.